After seeing a beautiful picture of the waterfront in Gdansk, Poland, I began planning my journey. Gdansk is located close to two other cities: Sopot and Gdynia. These three together are known as the Tri-City and you can spend several days relaxing and exploring. 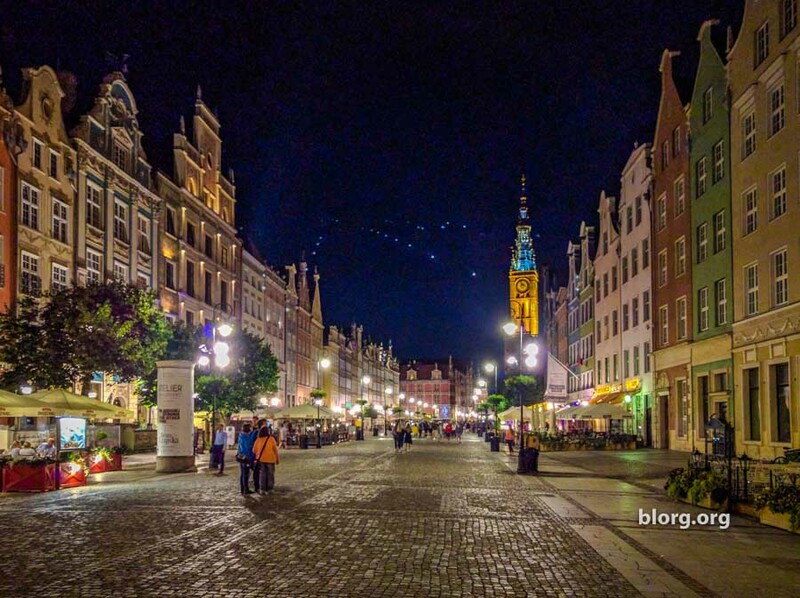 This guide helps you with things to do in Gdansk, Poland. Gdansk is one of Europe’s most beautiful secrets. With modern living, medieval relics and beaches; Gdansk offers a variety of experiences without the tourist crowds…and especially without the tourist prices. Gdansk is known to be a part of the Tri-City because they try their best. Because they TRY their best. Ok, it’s a tri-city because Gdansk is close to two other cities and they make up their own metropolitan area: Gdansk, Gdynia and Sopot. There are several free walking tours in Gdansk that take you to different parts of the city. I took a morning and afternoon tour to learn more about this beautiful city. The buildings are mostly made from bricks and give off a very old-world feel. Walking through the streets felt like walking back in time. It’s best to visit Gdansk during the summer, especially around the time they hold the Open’er festival. The Open’er festival is held in Gdynia, less than an hour by train from Gdansk. You don’t have to go to the festival, but around this time of year in old town Gdansk, there will be many young street musicians playing together! It’s all small orchestral ensembles and has been the best street music I’ve ever heard. Not too far from old town, you can find a tank off the main street. Definitely a good photo op. During the free walking tour the guide will point out a home that used to be Hitler’s house. I’m not sure if the home now belongs to someone or if it belongs to the city. But if it did belong to a private citizen, I wonder how difficult of a time the realtor had to try and sell Hitler’s house post-war. In case you are unfamiliar with history, he did awful things. The infamous Auschwitz Concentration Camp in Austria is open for tours and to remember the tragedies of the past. When researching what to do in Gdansk, I found out about Malbork castle but couldn’t find any tours that included it. That’s when I decided to venture out on my own, so you can too! It was surprisingly easy and less than one hour each way from Gdansk. If you’ve ever wanted to wander around a giant castle unsupervised, Malbork castle is the place to visit! Uber is available in Poland and is very affordable. I took a 30-minute ride from Gdansk to Sopot for $10USD (July 2016). But if you want to save some cash Sopot and Gdynia are easily accessible by train and bus for about $1USD. I really went for full convenience. Sopot is a beautiful beach town. There is a large boardwalk that extends into the ocean along with shops, restaurants, churches, art sculptures and a movie theatre. Most importantly, there is a beach! Just relax on the beach and enjoy life. The Sheraton Sopot is at the center of it all but will cost you significantly more than other places in Poland. If you have SPG points from the Starwood Credit Card, this would be a nice place to use it for a 10k point redemption…but I prefered to stay by old town Gdansk for a significantly lower price. By the Gdynia Waterfront, there is a small amusement park, shops, restaurants and cafes. If you’re planning a trip here in the summer and like music, plan it around the Open’er Festival. It’s a music festival with popular bands from all over the world. If you don’t like crowds of people, also plan it around the Open’er Festival. It’s easy, just don’t go that weekend. Get your adrenaline at Adventure Park Gdynia. They have a lot of different outdoor activities from paintball, quads, off-road ATV’ing, archery and more. I did the off-road ATV’ing experience and was the toughest ride ever. There’s a lot of obstacles. I paid for the 1-hour package but should have just got the 30-minute tour. If you do this, trust me and take the 30-minute package. In conclusion, the tri-city has a lot to offer! It’s not as crowded as other tourist cities in Europe and getting around with just English won’t be a problem.